Exceptional performance requires each department to work together toward a common goal to attain client satisfaction. 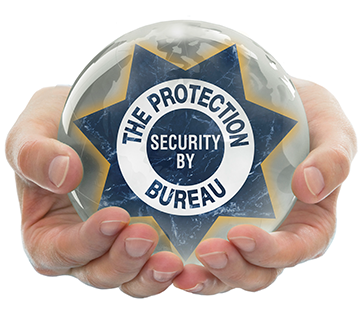 In order to provide quality service along with advanced technology, The Protection Bureau has revolutionized the process of true end-to-end security. Once your system has been installed, our work has just begun. Client satisfaction is our number one priority. The hallmark of The Protection Bureau is our training and system support. Our fully staffed Database Management Department is available to schedule updates, train clients in operations, program and provide software support wherever needed. Few companies make this commitment and investment, but The Protection Bureau continues to provide effective security with some guidance. We are a 24-hour service company, and our clients benefit from a quick response by our certified technicians. This is particularly important when dealing with locks, granting access and monitoring fire and intrusion alarms. The Protection Bureau owns and operates its central station at the company’s headquarters. Personalized service ensures that clients have the highest level of response to emergency needs. Our Client Care department is readily available to answer questions, check account information and get you the answers to any question you may have. Our team of experienced consultants follow-up on all service calls and installations to be sure that you’re satisfied and that our technicians have completed the job to your, and our, high standards. Sometimes they call just to check in to see how your system is running, if you have enough lawn signs & fresh window decals. If you have a Full Service Plan, they’ll check to be sure that you’ve had your annual inspection. You're never left in the dark. Upon completion of your job, you’ll receive a “Welcome Package” which will include manuals on how to operate your systems and an extensive company contact list so you know just who to call. Our corporate website is informative and also allows for quick contact and log-in portals to accounts. We even have client surveys for each department. You can log on anytime and let us know how we’re doing – and we even send you a gift for taking the time! We are truly big enough to protect, small enough to care. You can reach The Protection Bureau’s Client Care at clientcare@protectionbureau.com, or by phone at 610.903.4902.